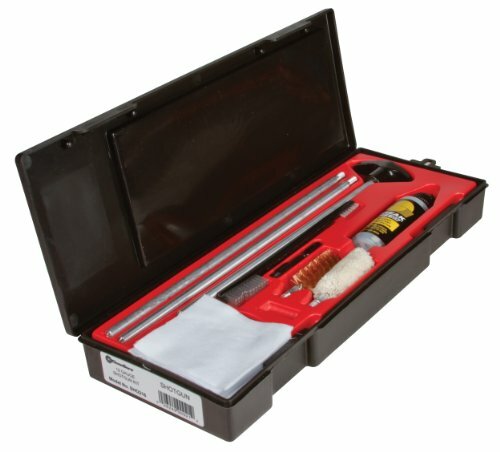 The Kleen-Bore 12 gauge equipment is packaged in a reusable sporting/garage case. Every equipment comprises: three-piece aluminum rod, adapter to simply accept 10, 12, 16, 20, 28 and 410-gauge equipment, phosphor bronze brush and mop, slotted patch holder, 3 ounces. Formulation 3 Gun Conditioner, cotton cleansing patches, silicone gun and reel material.